Jeweled One Shoulder Evening Gown | Sung Boutique L.A.
Sparkling jeweled detail the single shoulder strap. 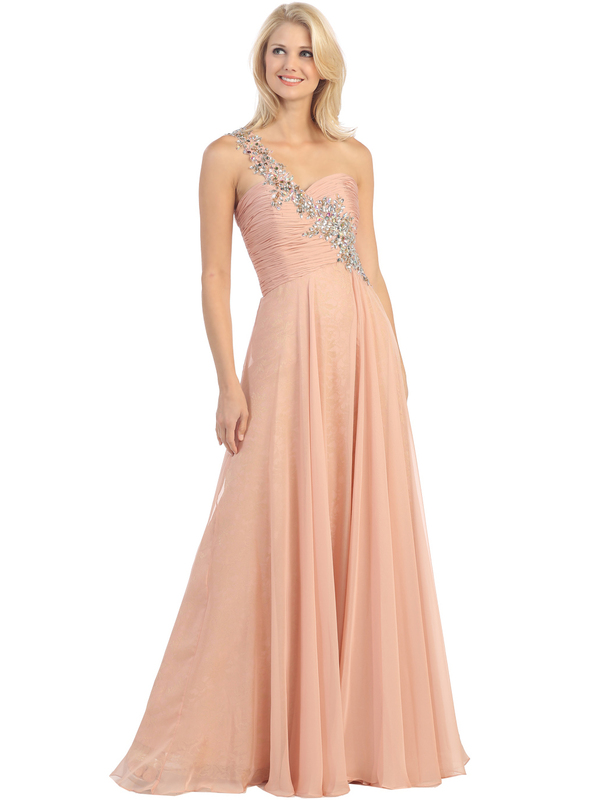 Ruched bodice, supple sweetheart neckline, and floating chiffon floor-sweeping skirt enhance the elegant look. - Approx. 60 inches from shoulder to hem.